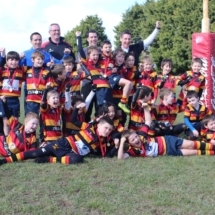 A warm welcome to Minis & Youths Rugby at Lansdowne FC for the 2018 / 2019 season. 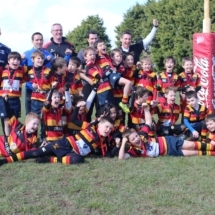 In the Minis and Youths section, we seek to ensure that the great tradition of Lansdowne FC rugby continues to be passed to the next generations in a fun, safe and friendly environment. 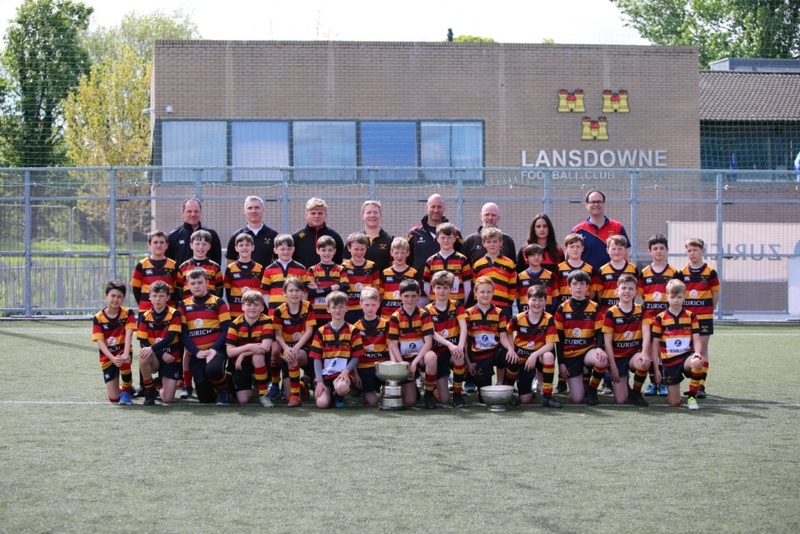 Many true and lasting friendships have been forged through Lansdowne, stemming from the principles we instill in the young players, of fairness and respect to all contributors. Our new season will commence on Sunday 9th September 2018. 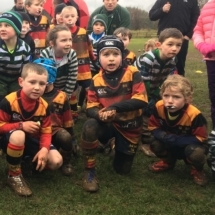 Our players (both boys and girls) can join from the age of 5 years up and progress from. 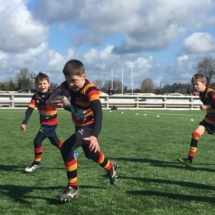 For players new to Lansdowne we offer a two week trial period after which registration must be completed via the link on this site. 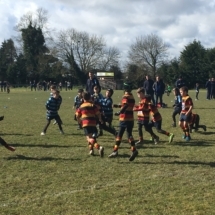 Minis rugby commences at the U6/7 age group and goes to U12. 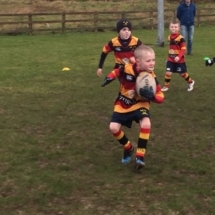 Mini rugby is focused learning the basics of the game along with the skills of agility, balance and coordination. 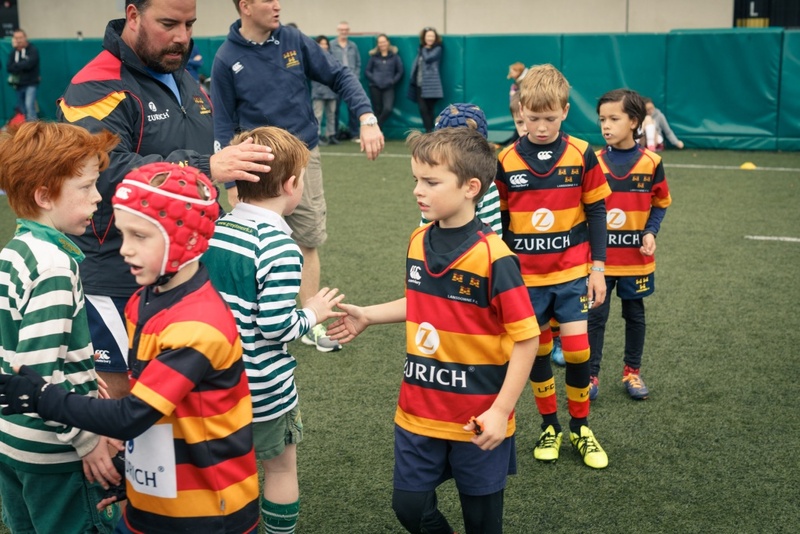 We are committed to ensuring that the rugby children experience at these age groups is directed so that they will have a firm grasp of the basic skills and core values of the game, coached in a fun and safe environment. 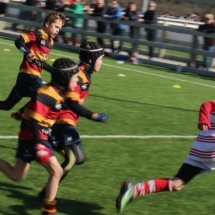 As players move up through the age grades, the physicality of the game increases, and the skill sets coached progress to tackling, scrums and those required to play the game in a safe manner. 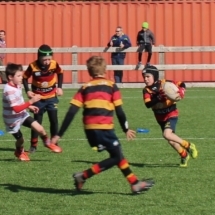 Full pitch 15 a-side games commence at youth rugby level, (U13 to U17). 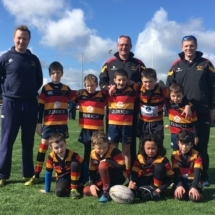 Lansdowne FC offers an avenue for youth players to continue to develop their skills and to participate in competitive rugby. 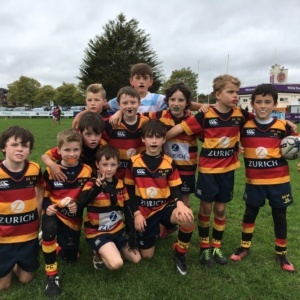 We have been active and successful participants in Leinster league and Cup competitions at youths level for many years and are looking forward to a highly competitive and successful 2016/18 season for all our youth teams. 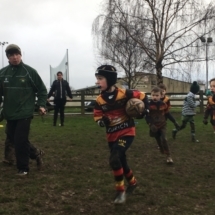 We actively encourage parents to get involved in the coaching of the teams. 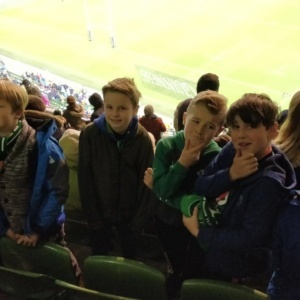 Previous rugby playing experience is desirable but not necessary. 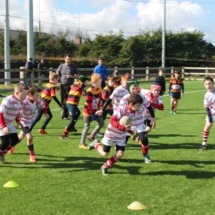 Through the support of the Leinster Branch, coaching courses will be provided to all mini and youths coaches. 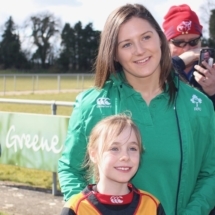 To comply with insurance and Leinster Branch requirement the following restrictions apply. All children are required to be a minimum of 5 years of age at the commencement of the season. (i.e. for the 2017/18 season they must have reached their 5th birthday by 10th of September 2017). All children are required to play within their designated age grade. This is determined by their year of birth. (i.e Those born in 2011 and not 7 before the 1st of January 2018 will play U7 for 2017/18). 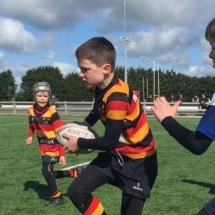 All mini and youths players that are registered with the club and have their yearly subscriptions paid are covered by the IRFU Group Scheme for Clubs. This insurance policy covers major incidents and is limited in it cover. It is recommended that parents have addition private health insurance place to cover their children. 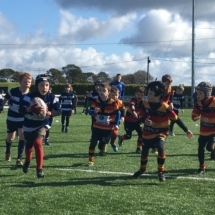 Register and pay your subs online by clicking the “Join” on the homepage and selecting “Minis and Youths online registration” from the dropdown. 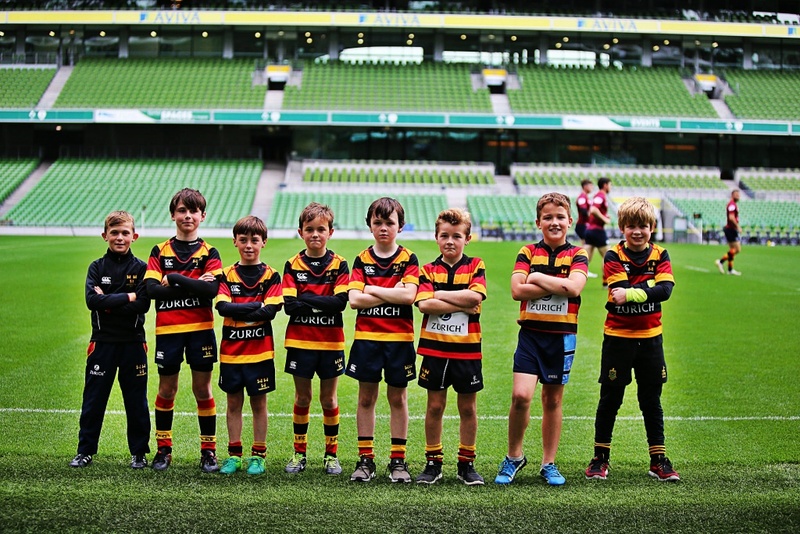 You must be a club registered and paid up member to be covered under the IRFU insurance. 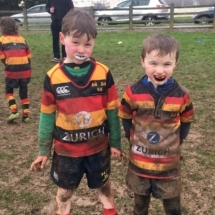 Wearing of a gumshield is mandatory when training and playing in matches. Boots: Boots with moulded ‘blades’ are not allowed. This is due to the ‘slicing’ injuries can be caused to players from these types of studs. All boots must have ‘traditional’ screw-in and / or moulded studs. The stadium management company, and not the club, are responsible for parking enforcement around the stadium. It is strictly enforced. Do not park in the restricted areas or you will be clamped. There is paid parking available under the clubhouse. The entrance is on Lansdowne Road to the left of the clubhouse gate. We’ll add more details soon. Sorry for the inconvenience. So that brings another season to a close for this extraordinary group of boys who for so many have been together since U6’s. 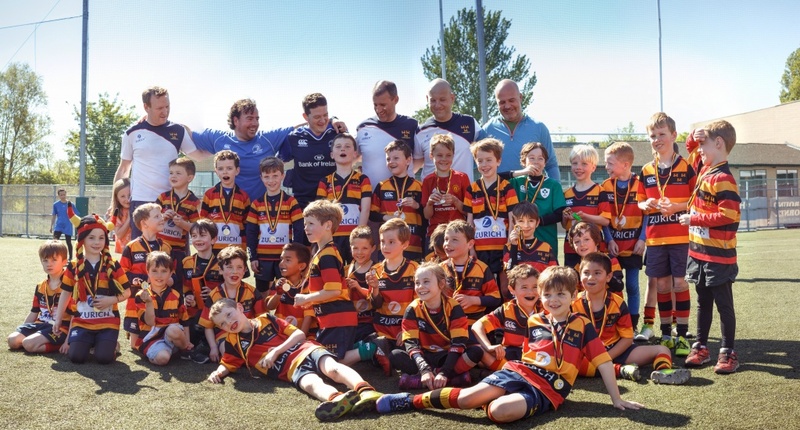 We had many challenges on the way to Cup success this season, however, we pulled together and the boys claimed their 2nd successive Cup in 2 years. From me and my fellow Coaches and Managers, Ntinga Mpiko and Fergal Cleary (both 1st XV legends), David Colbert and John Nolan, it has been a pleasure and a privilege to be with this squad, many from U6’s up. We have had some wonderful times, great games, epic tours, huge successes and of course the few emotional losses along the way. Every one of those milestones, good and bad, has served in its own way to bring us closer together, as a team and as friends. I firmly believe that’s what helped the team to dig so deep for each other and for the jersey both in the Semi-Final on Friday and then again in the Final less than 40 hours later on Sunday and to weather the storm that would surely have overtaken lesser teams and then to push on to another memorable team victory. 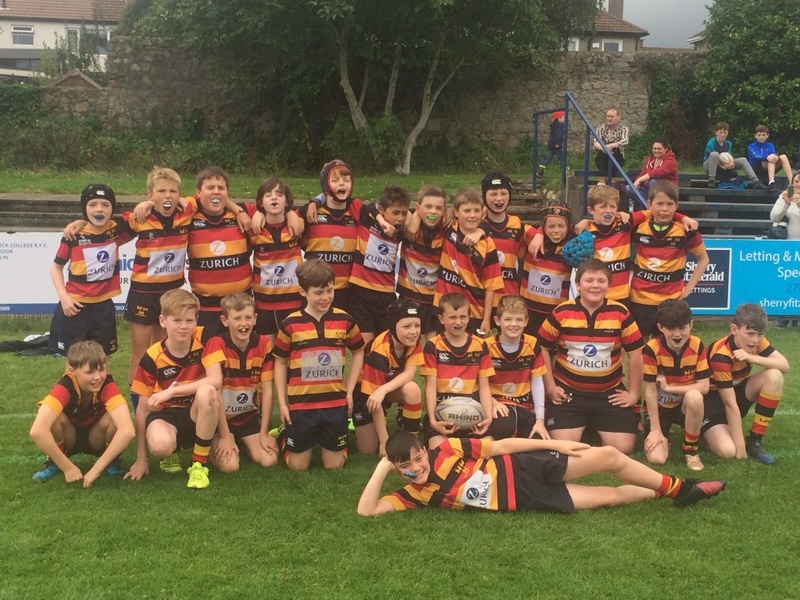 Respect to the boys of 2004, Leinster U13 2017 Champions and Metropolitan Cup U14 Winners 2018. I’d like to celebrate the effort, commitment and involvement of the boy’s parents, without whom none of this would have been possible, from the bottom of my heart, thank you. 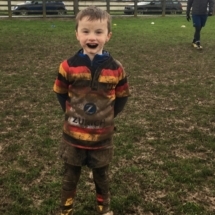 From helping to organise tours, fundraising, making the traditional sandwiches for visiting teams, tending to the inevitable cuts and bruises, drying the occasional tear (of the coaches!) and above all else, being there, hail, rain and shine to cheer on our boys and the opposition boys, especially during the challenging times this year, you never gave up on us. A finer bunch of supporters we could not have had. Good luck to David Colbert in his move to the LFC U11’s, our loss is their gain. 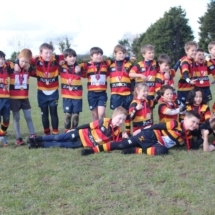 I’d also like to say a big thanks to all the coaches that have played their part in guiding this group of boys from U6’s up to now, your passion, selflessness and dedication helped shape this team and set the foundation for their successes. 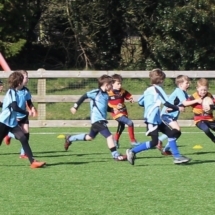 Finally, a huge thanks to Lansdowne FC itself, the club, its officers and the untiring Minis and Youths committee for providing the infrastructure, support and environment for this group of exceptional boys to learn and to grow as individuals and as a team. 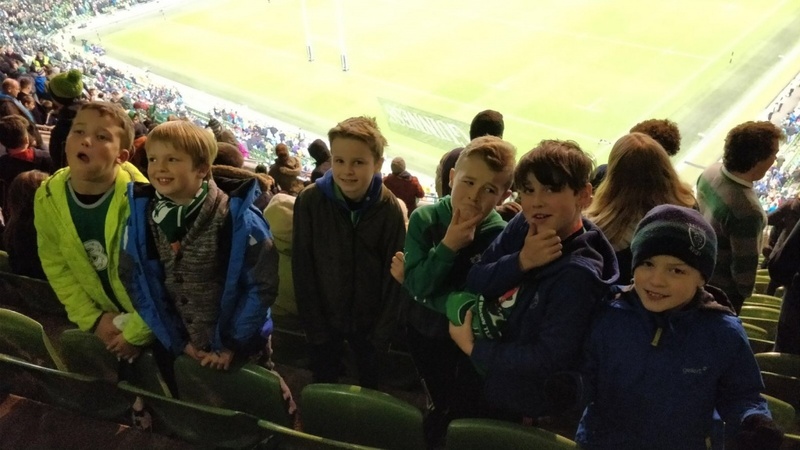 The boys may not recognise it just now, but in the fullness of time, the bonds created between the boys and the club will be fully appreciated and will bear fruit in many ways in the years to come. Please watch out for Teamer notifications. 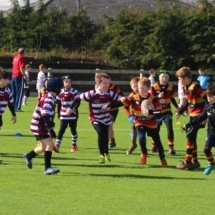 Training this Sunday November 26th at the usual time 9:15 in MARIAN COLLEGE. 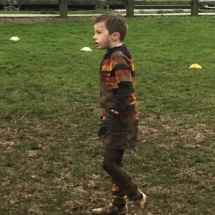 Please ensure to bring Rugby boots as the ground may be wet. Lansdowne FC is committed to providing a safe environment for all children that play the game. 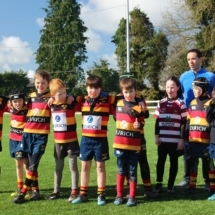 The club adheres to the approved IRFU Safeguarding policies. The Club Welfare Officer (CWO) is Sinead Coolican. 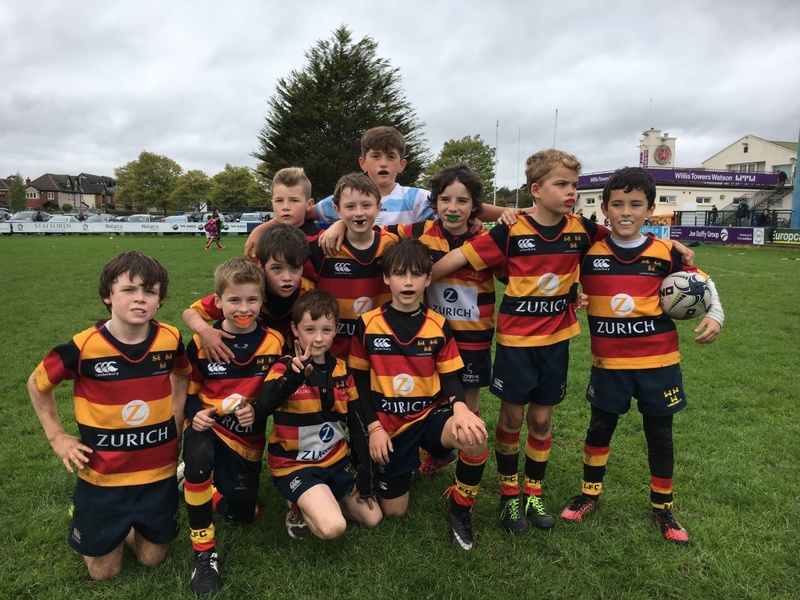 If you have any concerns or issues that you wish to bring to the CWO or the clubs attention, please contact the CWO at LansdowneCWO@gmail.com. We strive to have first aid support in attendance at our training sessions and home matches, this is not always possible. 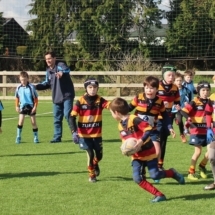 All coaches are required by law to complete Garda Vetting. This process has to be completed every three years. As part of the process for 2016/17, all coaches that have not been previously completed the vetting process, must provide copies of identification with their vetting application forms. 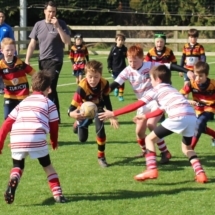 The most up to date vetting forms are available on the IRFU Safeguarding page (link below). For those new to coaching for the 2016/17 season, please download and have these forms completed in advance of the 1st training session on September 4th. These must be checked and signed by the CWO on September 4th. 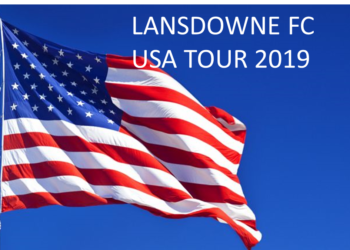 Lansdowne FC has four pitch locations which may change from time to time depending on international matches and the weather. 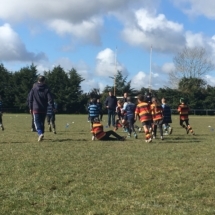 Please pay particular attention to notifications from your Head Coach with regard to Sunday pitch locations. LFC : Main pitch at the clubhouse on Lansdowne Road. Irishtown#1, Irishtown#2 : (Irishtown Park alongside Irishtown Stadium. 15/5min walk/drive). Pitches are in the park to the left of the entrance to Irishtown stadium. Parking is available at Irishtown stadium. Click here for link to Google Maps. 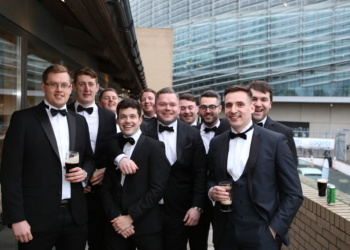 LFC Ballychorus (South Dublin. Approx 15km from LFC, 20 to 30 minutes driving). Click here for link to Google Maps. Marian College: Across the road from the entrance to LFC. 2 minute walk .